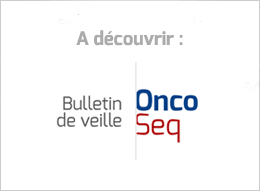 We focus on two studies that have the potential to be practice-changing for the treatment of older patients with AML and younger patients with favorable-prognosis diffuse large B-cell lymphoma (DLBCL), the development of a personalized risk stratification model for patients with myelodysplastic syndromes (MDS), and the finding that pre-hematopoietic cell transplant (HCT) microbiota injury is associated with poorer overall survival (OS). News related to those diseases and others have already caused biotech stocks to shoot up and down during the first few days of the meeting, which concludes Wednesday. Today we’re spotlighting a few of the companies that have seen their shares rise or fall with new results. Ongoing Phase 1/2 Study Continues to Demonstrate High Rates of Response to a Single Infusion of KTE-X19 in a Patient Population with Limited Treatment Options. Even if the trial succeeds, J&J and Legend will still have to contend with substantial competition. Celgene's acquisition of Juno gives it another candidate in testing, while companies like Amgen and Poseida Therapeutics are developing BMCA-targeting therapies of their own. Legend's data, though, indicates the Chinese biotech's therapy is not just a myth. FT500 is a natural killer (NK) cell derived from induced pluripotent stem cells (iPSCs). During an oral presentation at ASH, the company will present data showing the cells killed cancer cells from ovarian, lung and pancreatic tumors. In the study, the researchers pre-treated the patients with chemotherapy – a treatment method they called “lymphodepletion” -- prior to an infusion of the CAR T-cells. Of 14 patients who received the chemotherapy regimen of fludarabine and bendamustine, followed by infusion of CAR T-cells, 10 patients, or 71 percent, had a complete response. 82% overall response rate observed in heavily pre-treated patients. 9% of patients experienced grade 3/4 cytokine release syndrome; 7% experienced a grade 3/4 neurological event. The first thing that will get the attention of bluebird is the median on previous lines of therapy. For bb2121 at bluebird, the number was 7. At Legend, it’s 3. So they weren’t as sick, right? Although this trial is still in its early days, Green, Riddell and colleagues already have launched a second trial based on their laboratory work. The new trial combines the CAR T cells with a type of experimental drug called a gamma secretase inhibitor. Still tinkering with what they envision is just the right kind of edited CAR-T for the work, their UCART19 program — picked up from Pfizer and partnered with Cellectis — produced some promising proof-of-concept results on the first 21 patient results pooled from two small studies. Despite calling the current period an "extraordinary period of innovation, particularly in the domain of CAR T-cell therapeutics," Alvarnas, vice president of government affairs and senior medical director for employer strategy at City of Hope, said that "there are some challenges ahead." He pointed to how T-cell therapeutics will be paid for. FDA Grants Fast Track Designation for AMG 420. These updated results showed that the B-cell maturation antigen (BCMA) directed CAR-T cell therapy LCAR-B38M achieved deep and durable responses, with a manageable and tolerable safety profile in patients who failed a median of three prior therapies. Amgen’s pipeline of bispecific antibodies, which are designed to attach to a cancer cell and an immune cell, bringing them together so the body’s immune system can kill the cancer, are a cornerstone of the biotech company’s oncology research. Their lead BCMA BiTE requires 4 weeks of continuous IV infusion in every 6 week cycle — with 2 weeks off. Some observers are ready to say that on that basis alone, the drug has little chance to gain much of a foothold in this market, waiting for Amgen’s next-gen drugs to come along. New analyses from the phase III MURANO study in previously treated chronic lymphocytic leukaemia show continued benefit from fixed-duration regimen after a median follow-up of three years. Last month, Seattle Genetics scored an ultrafast FDA nod for Adcetris in patients with newly diagnosed peripheral T-cell lymphoma, and data presented at the American Society of Hematology annual meeting show why. REGN1979 is designed to bind to T cell surface antigen CD3 and tumor-associated antigen CD20. By cross-linking the immune and cancer cells, Regeneron thinks REGN1979 may trigger specific, local T cell activation and thereby drive potent cytotoxic attacks against tumor B cells. Randomized Phase 3 Clinical Trial Demonstrated ADCETRIS plus Chemotherapy Resulted in Superior Progression-Free Survival and Overall Survival Compared to a Standard of Care, CHOP. 26 months median duration of response achieved in relapsed or refractory mantle cell lymphoma at updated two-year analysis. 97% overall response rate in treatment-naïve chronic lymphocytic leukaemia trial population at three and a half years. Data served as the basis for a recent sNDA to the U.S. FDA, which received Priority Review designation. On Monday, the Chinese biotech posted some remarkable results for their pivotal study aimed at gaining a quick OK in China for their PD-1 tislelizumab in treatment-resistant classical Hodgkin’s lymphoma.